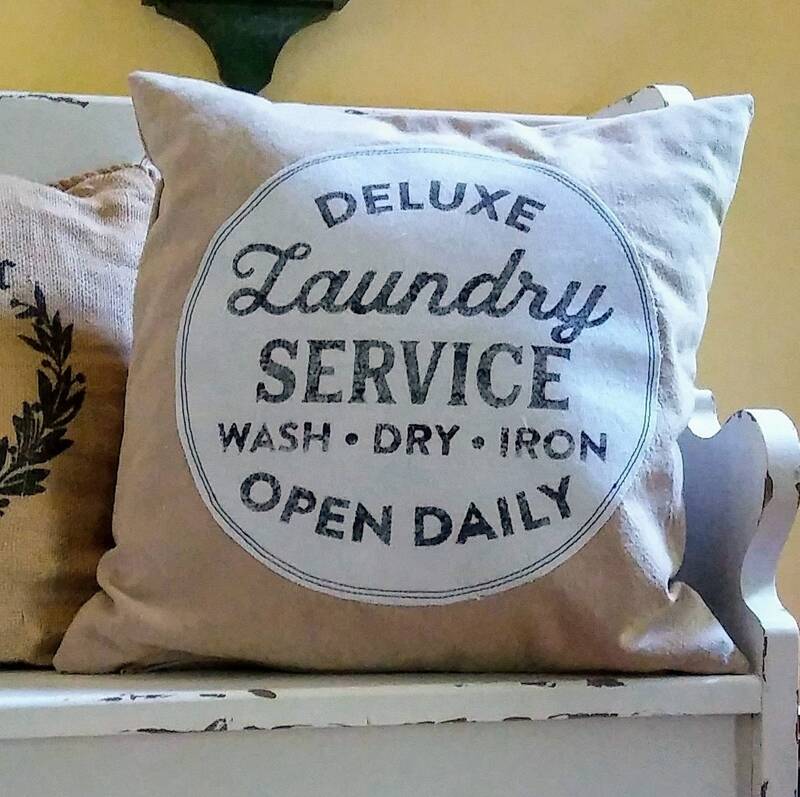 Laundry Service graphic pillow cover with zipper closure . Order with or without 18x18 insert. Hand made cotton canvas pillow cover fits 18x18 pillow insert loosely as shown or 20x20 snugly. Pillow canvas is dyed tan for an aged effect. Circle logo spplique is a natural off-white color with black painted logo. Cover has been pre-washed and heat shrunk. Zipper closure on the bottom. Double stitched seams are finished to prevent raveling.